Mardi Gras, or Fat Tuesday, is the Tuesday before Ash Wednesday. In some areas, parades and parties take place on this day to prepare for the 40-day period of abstinence during Lent. 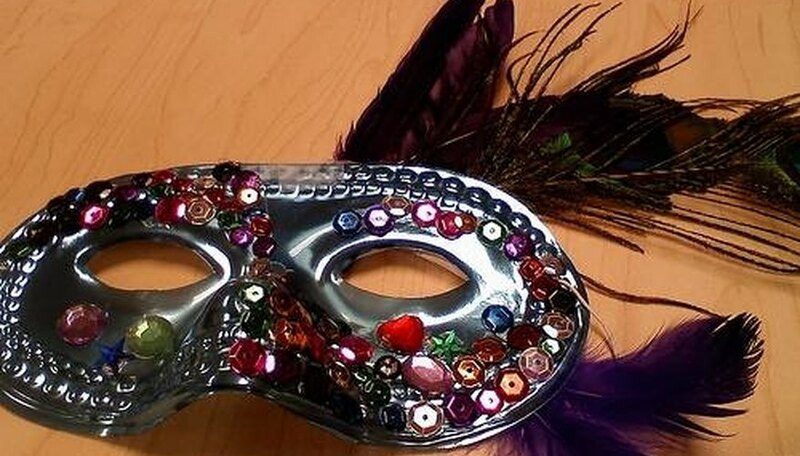 It is fun and easy to put on a Mardi Gras party of your own using homemade decorations. The colors that are normally seen at Mardi Gras are purple, gold and green. Keep this in mind as you decorate for Mardi Gras. Use green, gold and purple materials to make decorations for the walls. Some ideas are paper chains, masks and streamers. Hang these over and around lamps, from ceiling fans and from the ceiling and walls. Make Mardi Gras masks to hang on the walls and to distribute to your guests.These can be made from paper plates, swimming goggles, paper, pipe cleaners and anything else that you can think of.There is a link in the Resources section to FreeKidCrafts.com, which has many ideas for making Mardi Gras masks. Make your own Mardi Gras beads to give to guests as they enter your home. Cut long skinny triangles from magazine pages. Starting at the wide end, roll up carefully around a toothpick and secure with a dab of white glue. Remove the toothpick. After all of your beads have dried, string them with thread or dental floss.This is a great way to recycle old magazines. Blow up green, gold and purple balloons and hang them from your mailbox and around the party rooms. Make a banner for the front door to greet your guests. Put out green, gold and purple towels in the bathroom if you have them. Use these colors in as many ways as possible throughout your front yard and home. Encourage your guests to dress up as jesters, kings, queens and peacocks, which are symbols of this holiday.